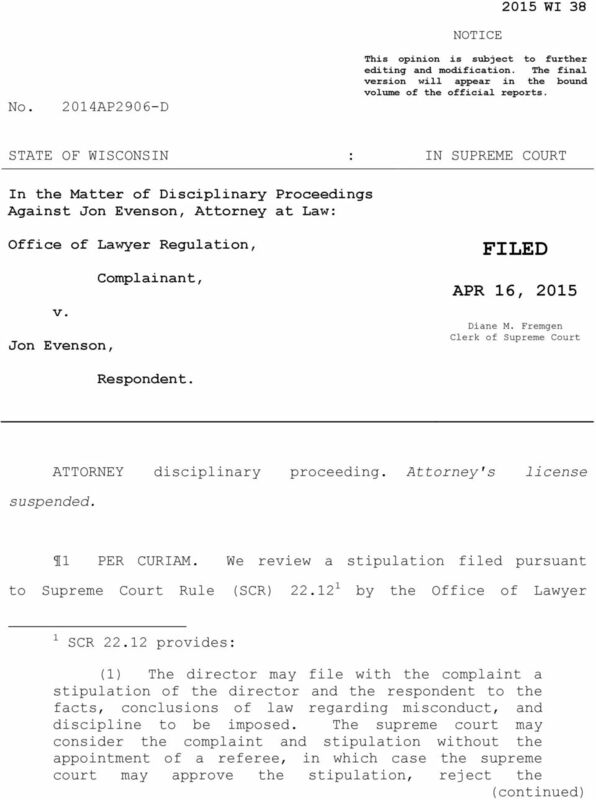 Download "SUPREME COURT OF WISCONSIN"
SUPREME COURT OF WISCONSIN 2013 WI 36 CASE NO. 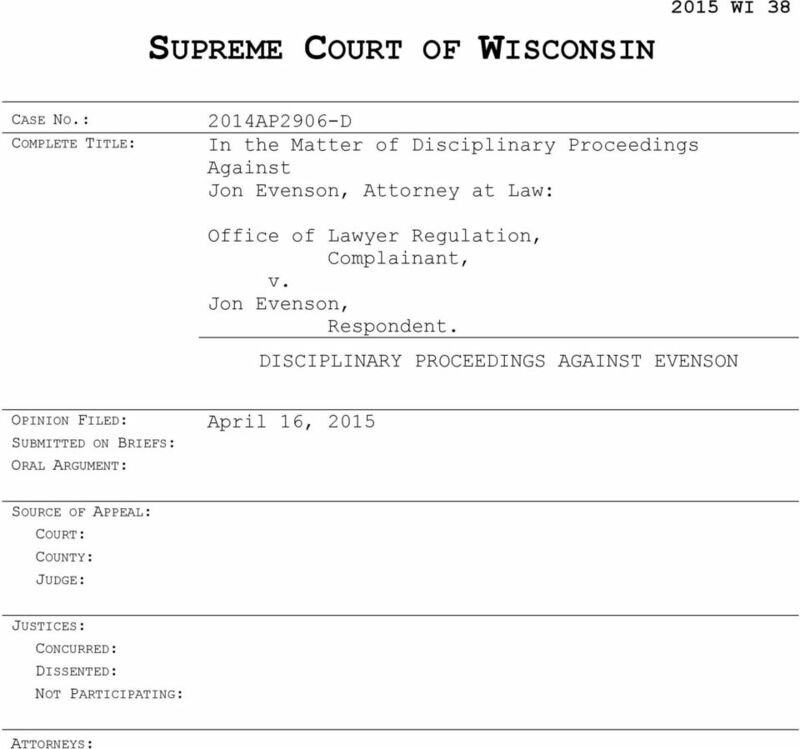 : COMPLETE TITLE: In the Matter of Disciplinary Proceedings Against Joseph M. Engl, Attorney at Law: Office of Lawyer Regulation, Complainant, v. Joseph M.
SUPREME COURT OF WISCONSIN 2014 WI 2 CASE NO. 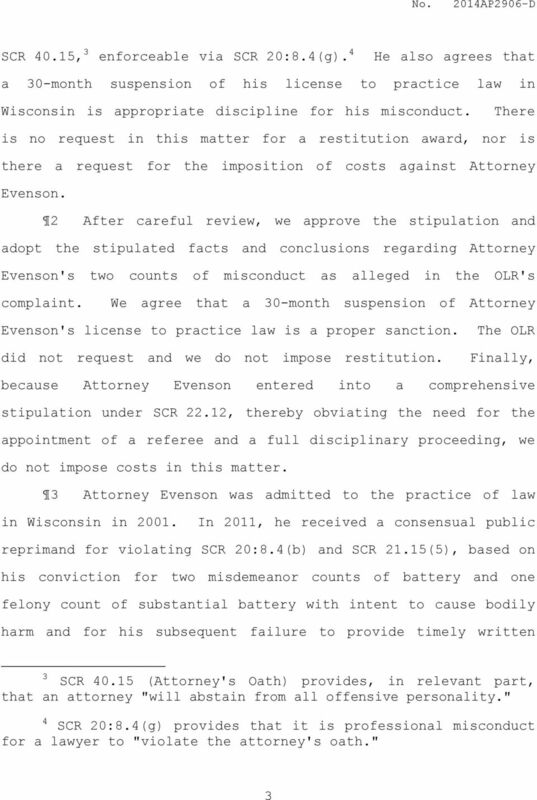 : COMPLETE TITLE: In the Matter of Disciplinary Proceedings Against Steven T. Berman, Attorney at Law: Office of Lawyer Regulation, Complainant, v. Steven T.
2005 WI 102 SUPREME COURT OF WISCONSIN CASE NO. : 2005AP838-D COMPLETE TITLE: In the Matter of Disciplinary Proceedings Against Joseph Engl, Attorney at Law: Office of Lawyer Regulation, Complainant, v.
SUPREME COURT OF WISCONSIN 2014 WI 40 CASE NO. 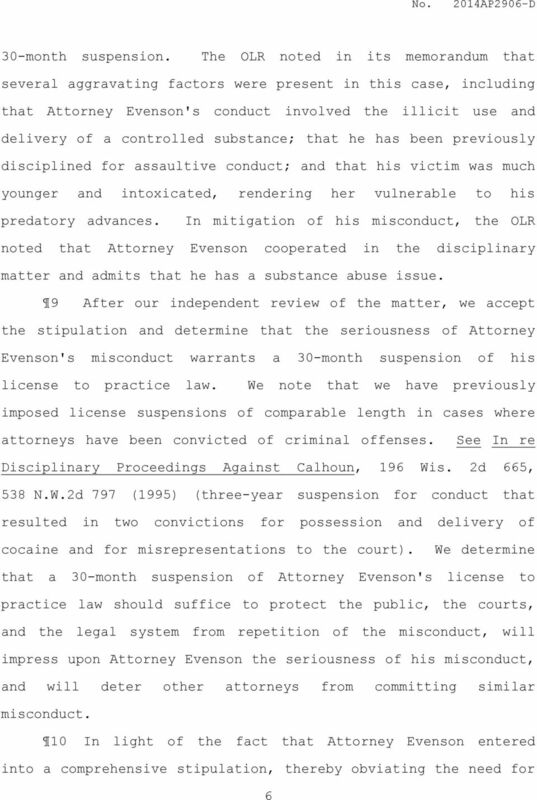 : COMPLETE TITLE: In the Matter of Disciplinary Proceedings Against Elizabeth Ewald-Herrick, Attorney at Law: Office of Lawyer Regulation, Complainant, v.
People v. J. Bryan Larson. 13PDJ031. October 18, 2013. 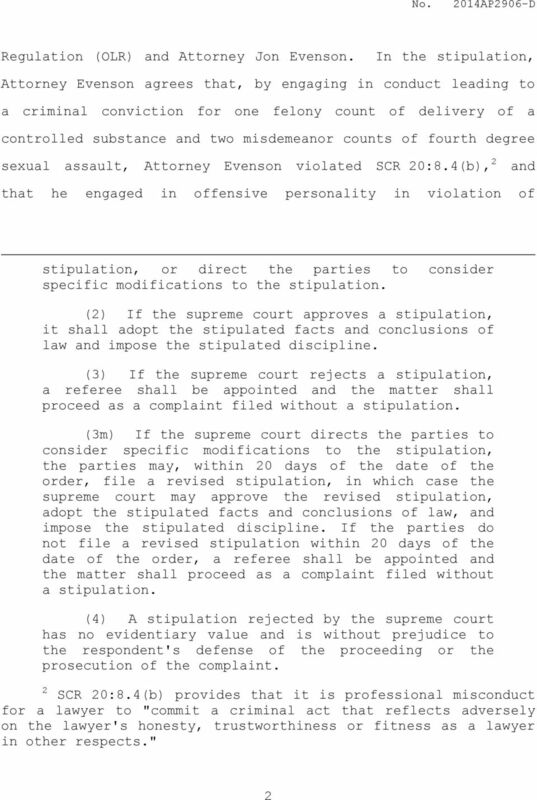 APPEAL from judgments and an order of the circuit court for Green Lake County: WILLIAM M. McMONIGAL, Judge. Affirmed. 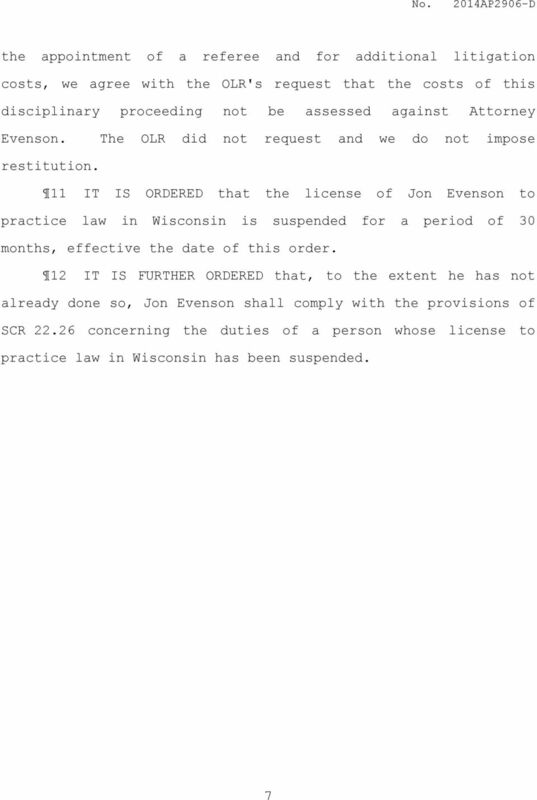 APPEAL from a judgment and an order of the circuit court for Waukesha County: WILLIAM DOMINA, Judge. Affirmed.